What’s Happening to the Ozone Layer? 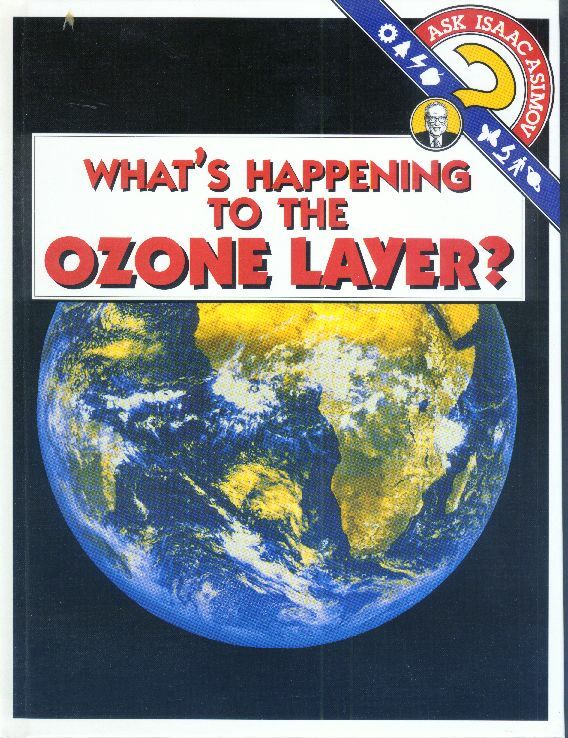 In What’s Happening to the Ozone Layer?, Isaac Asimov explains in clear terms how vital the ozone layer is to our planet, discusses the causes of its possible destruction, and finally tells us how we can save it. For general information on the “Ask Isaac Asimov” series, see What Is a Shooting Star? On the whole, the environmental books in the “Ask Isaac Asimov” series fare better with me than the astronomical books; perhaps this is because Asimov doesn’t cover environmental issues elsewhere for young children except in the relatively obscure Earth: Our Crowded Spaceship. As a result, I’m a bit less resentful of the incredible cost of this particular book and actually enjoyed it. I would definitely recommend it to an elementary school student with an interest in the subject. This is still one of the more disappointing books in the series. First of all, I thought it was weak in its explanation of what ozone is, where it comes from, and why it’s important. I also thought Asimov undersold the disastrous impact of losing the ozone layer. As a call to action, it’s a distinctly soggy. It’s worth reading, but not sterling.